lighting up is a ritual? Camping in the campsite? Mountain or river nearby? Or great back country? You name it. It is so dark. It is so dark that you can easily experience “pitch black” which you cannot even see your own hand. I sometimes find some group of beginners. 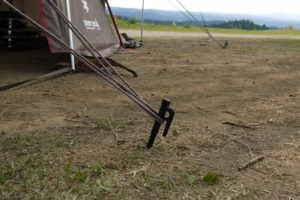 They use only one tiny LED lighting so that their tent and surroundings are really dark. It is natural that they don not how dark it gets. Obviously they underestimated how dark in the campsite. Hey, bonfire brightens around a little bit, but still not enough. 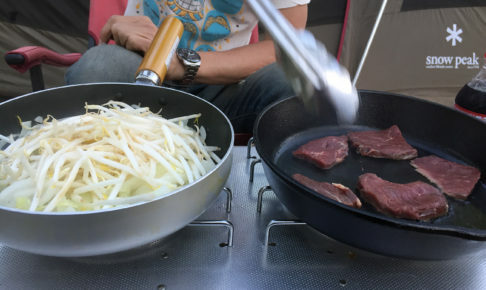 You can’t even find where you put your tongs often times. It is a great chance to learn how the night in the nature is dark. You definitely need more lighting. 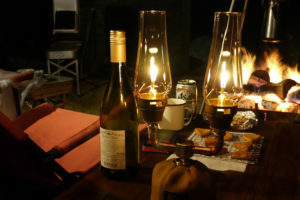 You need one of the most basic and symbol of camping gears, a lantern. The lanterns we find out there are most likely LEDs. No hustle or maintenance is needed to lighting up. All you need is to put batteries or to charge via USB, and hit a button. 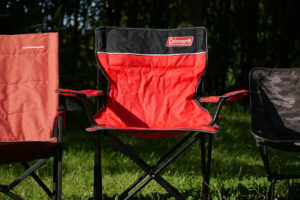 There so many things take care of so it would be very helpful for family camping. Well, what I look for in camping is to “kicking back”, “taking time” and “slowly”, which means I would take some time just even to light up my lanterns in exceptional way. White gas lanterns are what it is. I start pumping quickly and breathlessly to fill the up fuel tank with air and turn the fuel valve to the left. As striking a match and taking it to the mantle, I turn the tip cleaner stem down slowly. It it a ritual. Very important one. Very sometime my lanterns become the ball of fire because of gas leak. Oh well, it happens when it happens. Anyways, my lantern finally gets lit and shines beautifully with the sound that pressured air pushes fuel all the way to the mantle. It is quite all the way and all you can hear is the sound this lantern makes. The sunset is superb. The real camping starts here. 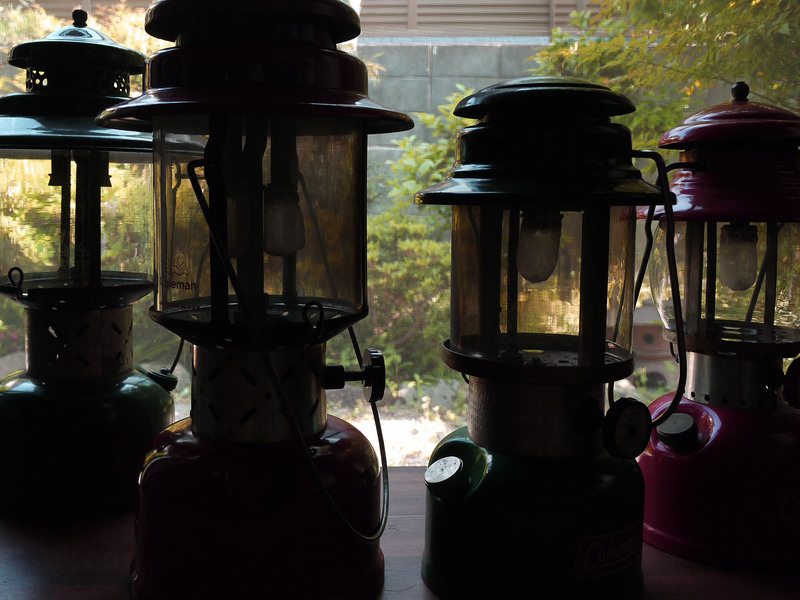 Lanterns I currently own are all Colemans: 200A and 228E are made in 50s, 220E in 60s and 335 in mid 70s. 200A and 220E are painted in red, and 228E and 335 in green. 200A and 228E are made in USA, which I purchased at local shop. Canadian made 220E and 335 are purchased via e-bay from Canadian sellers. I think lanterns by not only Coleman but also all the makes are true masterpiece which stimulate my materialistic desires.The functional beauty and the elegance of product design stand out while eliminating all the waste. Even though they are industrial products, often times lanterns have their own characters so that you need to handle them to fit their characters. There so many kinds in the market including brand-new, used and vintage ones. Which means there gotta be some lanterns that suit for your desire. And those lanterns are generally easy to maintain so most likely those lanterns last for a few decades. 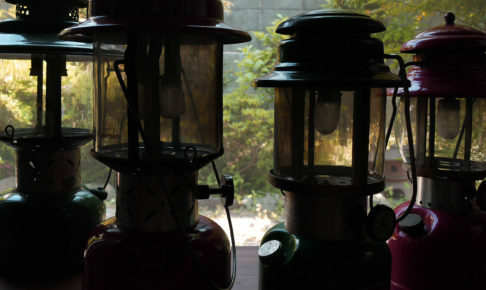 Now that I think, my lanterns made in 50s are more than 60 years old, and the light I see now is exactly the same light lit by original owner. Man, is it so romantic, in a way? 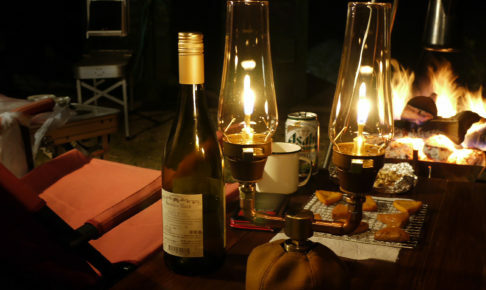 Although I own 4 white gas lanterns, I want more. 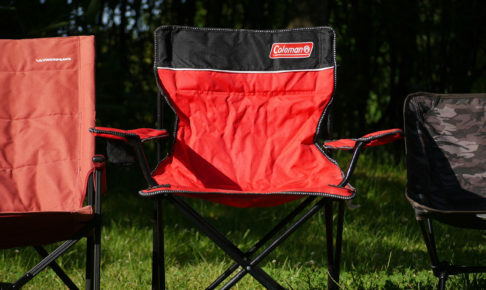 Coleman 275 in brown would be one that I am looking for. The coolest looking brand-new lantern available on the market must be Paraffin Lamp HK500 by Petromax. It is so mechanical and steampunk like look is incredible. Its body in chrome or gold is so captivating. One thing to mention is that fuel needed for this lantern is kerosene. Hey, this means you need much more knowledge and skills to maintain, and even lighting is far more difficult than lighting white gas lanterns. But I definitely adore those owners who can light them easily at the field. 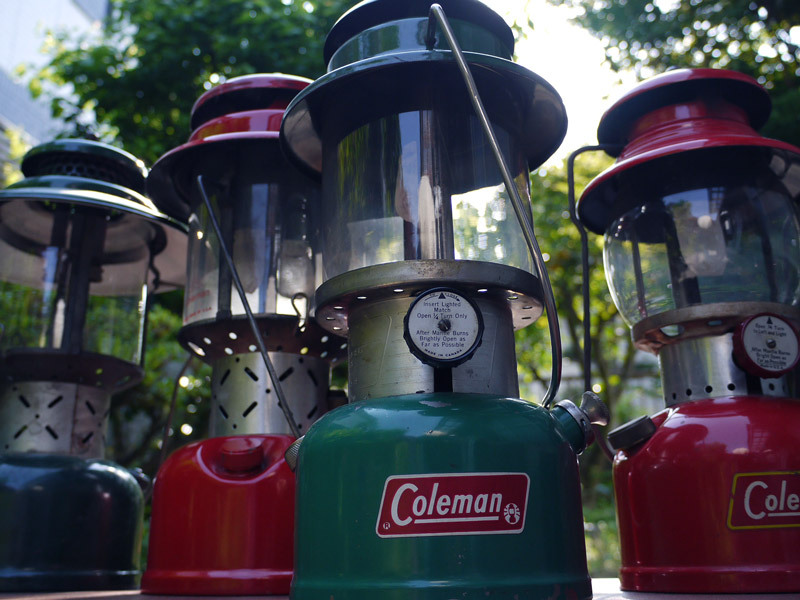 Coleman’s Premium Dual Fuel™ Lantern may be a perfect one for beginners and to keep using it for a few decades. 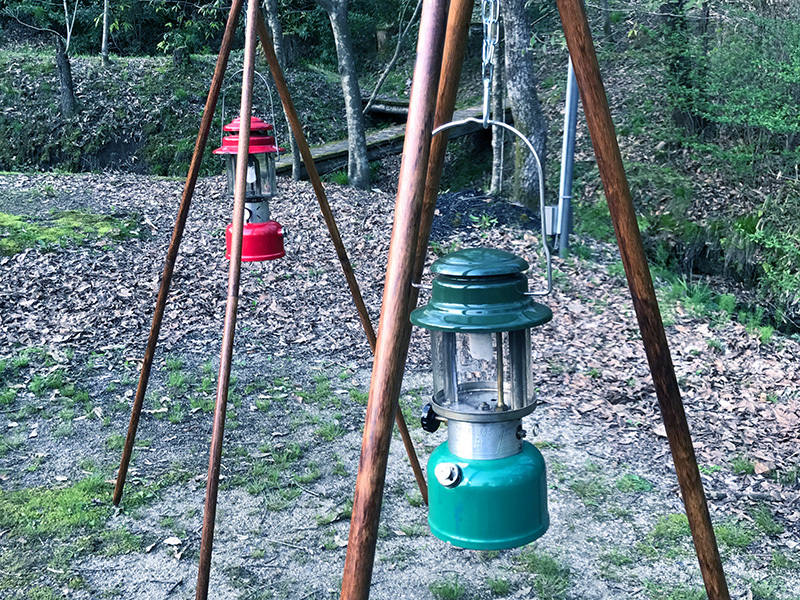 Learning the basics of fueled lantern out of this one and then you should be ready for the vintage lanterns. You need way more than single lantern though. If you are looking for LED lantern that looks more like classic one, then I would recommend Classic LED lantern Gold by Tent Factory. Its classical appearance should help create nice atmosphere. Fueled lantern would last such a long time if you take care of them right. 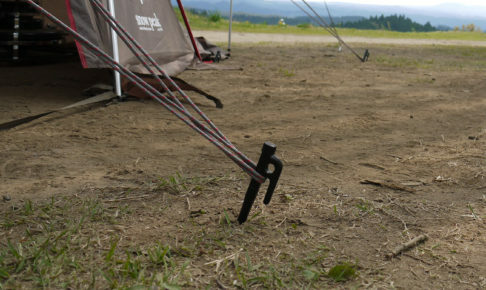 Don’t you think it is great to meet such a wonderful camping gear?